Sanctuaries offer a safe haven, rehabilitation, and work to change laws and public perceptions. Meadow’s broken body was thrown from a black pickup truck on a state highway. 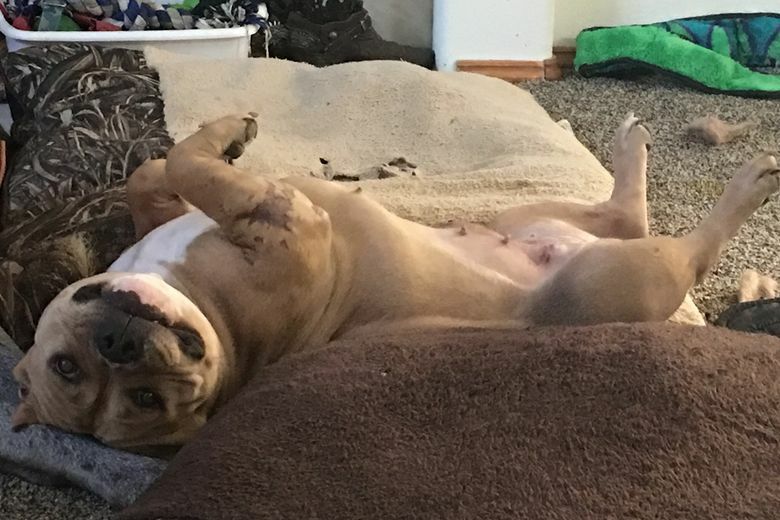 Her severe wounds, docked ears and multiple bite wounds indicated she had been used in a dog-fighting ring. 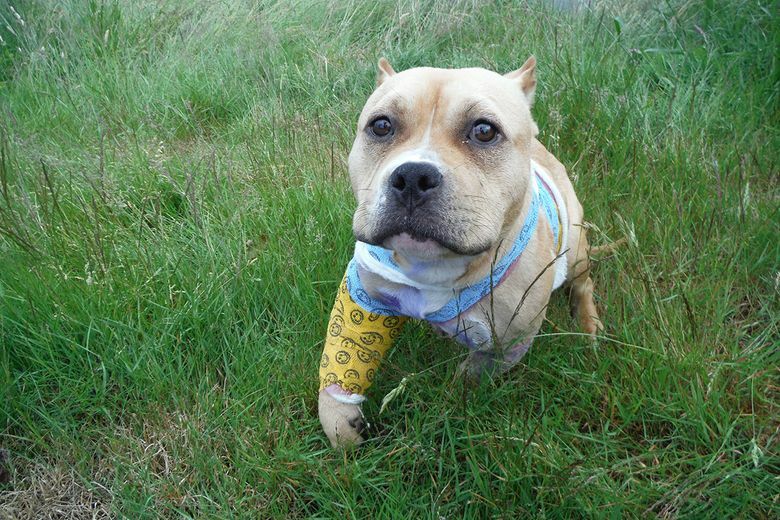 Her petite size and docile personality are common in bait dogs. In spite of a $2,500 reward, the crime remains unsolved. Stories like Meadow’s cross people’s lives daily, each representing hundreds of similar animal-cruelty stories that are never told. Video footage of animal rescues spread through social media and broadcast news like wildfire – graphic images of dog fighting, puppy mills and factory farming. This footage pulls at the heartstrings for a brief moment, but even large rewards and public statements against cruelty leave many crimes unsolved, and abuses continue. If viewers had a glimpse into what happens after cameras cut from the rescue scene and, after an appropriate pause, start rolling once again with a much safer animal arriving for the first time to (often literally) greener pastures, the magnitude of that change would be even more apparent. This is the important work happening in animal sanctuaries like Pasado’s Safe Haven in Monroe, Washington. It seems deceptively simple. An animal is rescued from a criminally negligent owner, and public perception is that the survivor will immediately fall into a peaceful life. The reality is that in most cases it takes much time, and medical care, before that animal can learn to function in a normal, healthy way. Animal sanctuaries not only provide a safe haven for those who have been through the worst, but those animals also become ambassadors for the rest who are suffering. Change is precisely what Meadow has experienced since she was left for dead. 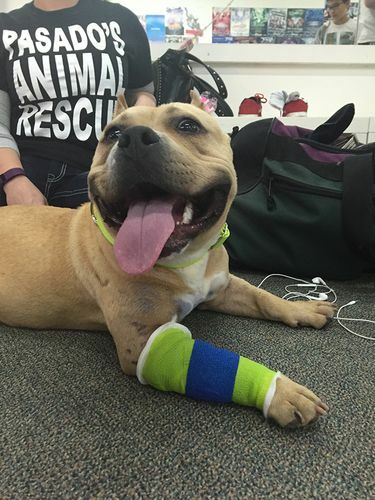 After months of care and rehabilitation, Meadow’s substantial physical injuries healed. Her disposition, on the other hand, never needed attention. 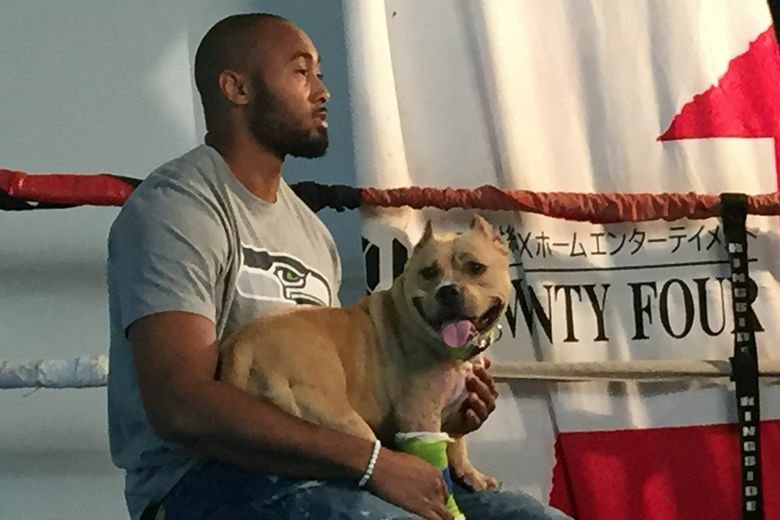 Handlers and caregivers say her sweet personality made her a natural for her new calling: teaming up with Seattle Seahawks greats and media professionals to speak out against dog fighting. Pasado’s Safe Haven has a comprehensive approach to fighting animal cruelty. In addition to investigating crimes against animals and providing sanctuary to those rescued, they advocate for better laws to protect animals and educate the public about how they can help.